Shivers and giggles: It’s guaranteed to be a Halloween to remember with this epic Canberra Halloween guide! Photo courtesy of Pulse. 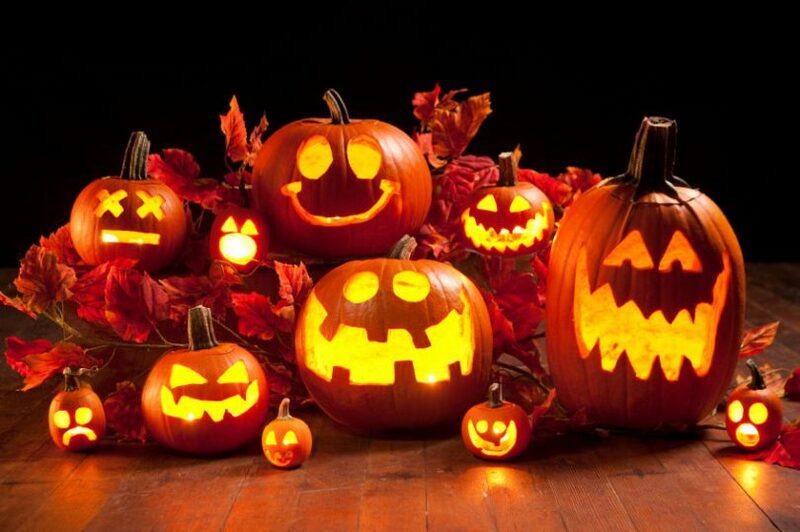 It’s time to carve out those pumpkin heads – Halloween is upon us once again! Trick or treat yo’self to one of these ten haunting Halloween events, happening across Canberra over the next few days. Where: Via Beltana Avenue Googong. What: dress up as your favourite Halloween creature, pack a picnic or sample the food from our stallholders, enjoy live music, roving performers and more, and let your little monsters out to play in our specially spookified Halloween playground. Fireworks from 9:00 pm. When: from 5:00 pm Saturday 28th October. More Information: visit the Googong website. Where: Hopscotch 5 Lonsdale Street Braddon. What: spooktacular cocktail specials, trick or treating, prizes for best dressed, DJ’s spinning the old school tunes with a few other tricks up their sleeves. More Information: head to the Hopscotch Facebook event page. When: from Saturday 28th – Tuesday 31st October. More Information: give them a call on 02 6239 4455. Where: Mooseheads Pub & Nightclub 105 London Circuit Canberra. A completely transformed nightclub with special effects & frights. $5 Smirnoff Double Blacks 10pm-Midnight. A massive prize for best dressed on the night. When: from 9:00 pm Saturday 28th October. How Much: Regular cover charge applies. More Information: head to the Mooseheads Halloween Facebook event page. Where: La De Da 102 Emu Bank Belconnen. What: A typical experience of Halloween nightlife in Africa. Come dance to the sounds from the continent and beyond. Brought to you by Canberra’s best DJs. Dress to impress. When: from 10:00 pm Friday 27th October. How Much: $10.00 per person. More Information: head to the Afrobeatz Canberra Facebook event page. Where: Shorty’s 29 Garema Place Canberra. What: $7 ghost chilli shots, spicy sensations, $100 voucher for best dressed. More Information: head to the Shorty’s Facebook event page. Where: Impact Comics 16 Garema Place Canberra. What: Free comics! 6 if you are in costume. When: from 9:00 am-5:00 pm Saturday 28th October. More Information: visit the Impact Comics website. Where: Dendy 148 Bunda Street Canberra. What: special uncut Halloween screening of The Exorcist. When: 6:30 pm-9:15 pm Tuesday 31st October. How Much: GA $18.00 per person Members $15.00 per person. More Information: visit the Dendy website. Where: Escape Rooms Canberra 2/24 Dundas Court Phillip. What: extended trading hours, try your hand at escaping Mr Keller’s (not so) Magic Emporium, or get locked in the witches House on the Hill. For the well-seasoned, the Vault offers a challenge that’s to die for! When: Friday 27th – Sunday 29th October. Tickets: n/a but bookings a must. More Information: call on 6281 5729 or email info@escaperoomscanberra.com. What: DJ and photographer. 3 hours of bouncing fun. Competitions and games. ID and socks required. When: 7:00-10:00 pm Saturday 28th October. How Much: $25.00 per person pre-sale or $30.00 at the door. Tickets: call 02 6296 7737 or head into the Centre. More Information: head to Inflatable World Kambah Facebook event page. Is Halloween only about the marketing?